Chelmsford Star searches for new Charity of the Year! Local Co-operative Society, Chelmsford Star has embarked on its annual search for its next ‘Charity of the Year’ for 2013/14. ‘The Board of Directors are currently looking for local registered charities to put themselves forward as potential candidates backed up with a written statement on what the funds are required for. They compile a short list in mid-February and then invite the 800 members of the Society’s employees to vote on their preference. The name of the charity with the most votes is declared at the annual general meeting at the end of April. After which the new charity and Society work together on fund raising ideas for the year, including collecting tins featured at over 150 till points as well as sponsored events and raffles. As the Society trades from 48 branches from Braintree to Southend-on-sea, prospective candidates should be able to demonstrate that their cause would be recognised by customers across all stores. Charities are encouraged to make contact with the Society’s stores with assistance and support in all major initiatives as and when required. In 2011/2012 the Society raised just under £35 000 for Families in Focus (Essex) and over the past 5 years has raised well in excess of £150 000 for Essex charities. or write to him at Inspired -Chelmsford Star searches for new Charity of the Year! 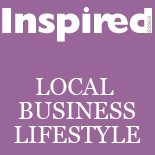 This entry was posted on February 8, 2013 by inspiredessex in Business, Chatty, Essex Events, Inspirational People, Ladies Time Out and tagged Chelmsford Magazine, Chelmsford Star Co-operative Society Ltd, Essex Magazine, inspired magazine chelmsford, Lance James, Lance James The Jewellers, Quadrant in Chelmsford.